It’s no secret I’m a huge fan of al fresco dining. I live for the days I am able to sit outside for meals. 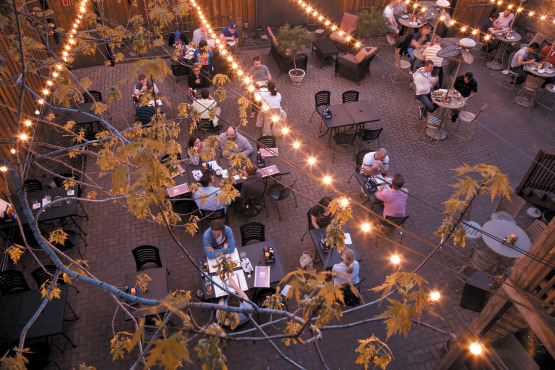 Unfortunately, in the midwest the days are few and far between when it is actually outdoor patio season so I try and take advantage of the days we do have. 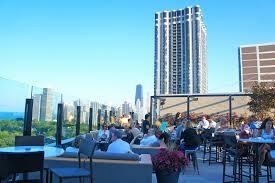 Today, I put together a list of some of my favorite outdoor patios/beer gardens in Chicago. Halsted’s Bar & Grill – When Kevin and I first moved to Chicago, we both lived right down the street from Halsted’s in Lakeview and it quickly became one of our favorite spots. 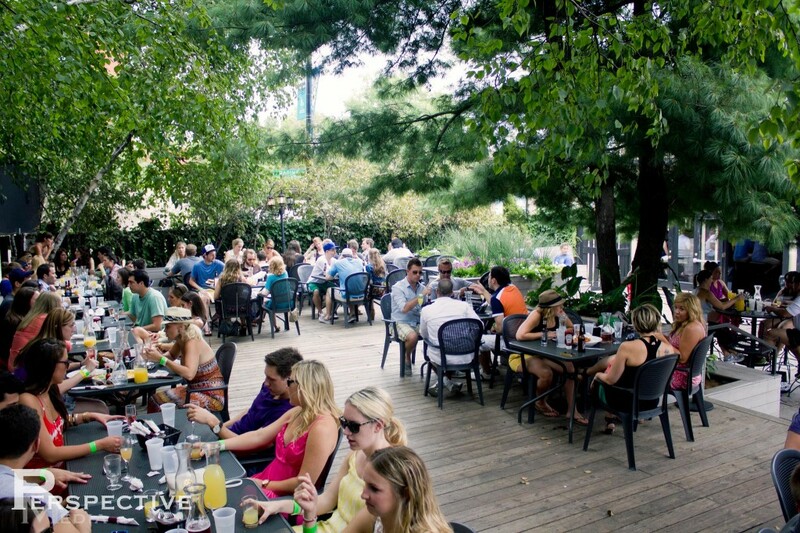 It’s a great place to go with friends and enjoy some drinks and classic bar food or brunch. Packing House (formerly Market) – This West Loop spot recently changed names and I haven’t been since it has been revamped, but I used to frequent Market all the time. 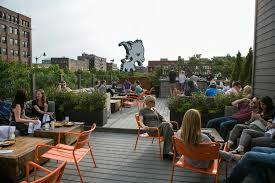 They have a great patio as well as a roof top with awesome skyline views. 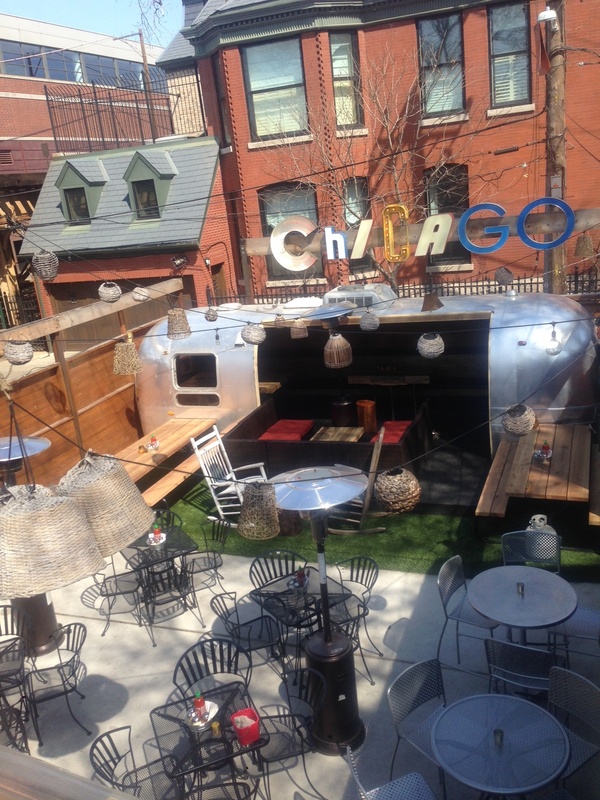 Big Star – This Wicker Park gem is a definite go to in the summer. 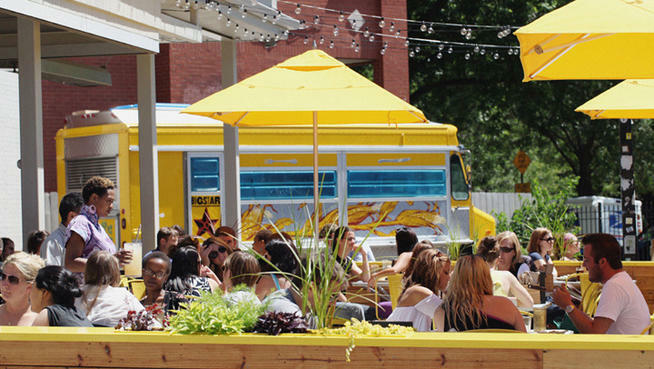 You will always find this patio full of people sipping on margs and enjoying tacos all summer long. It is one of our favorites. 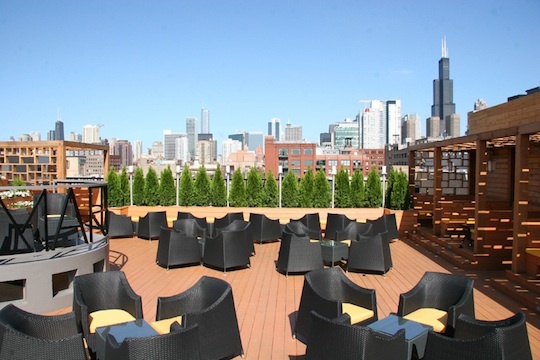 J. Parker – Located on top of the Lincoln Hotel in Lincoln Park, this rooftop has incredible lake and city views and is a must do for drinks with a view. 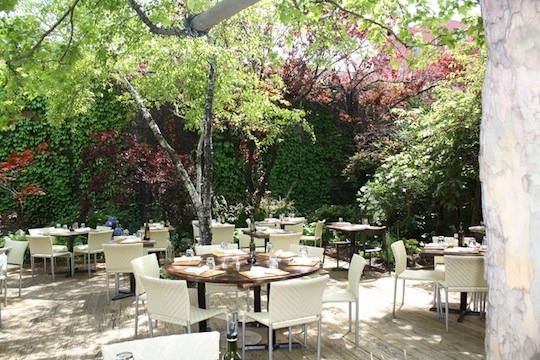 Maya del Sol – This Oak Park restaurant is one of our favorite places to go for a celebration! 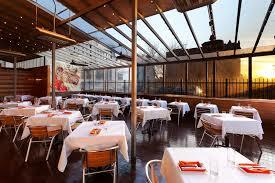 Great up scale Mexican food with an awesome patio out back. They even have sombreros and ponchos you can wear while dining outside. How fun is that? Oh and don’t forget to try their Prickly Pear Margarita – yum! These are a few of my favorites. 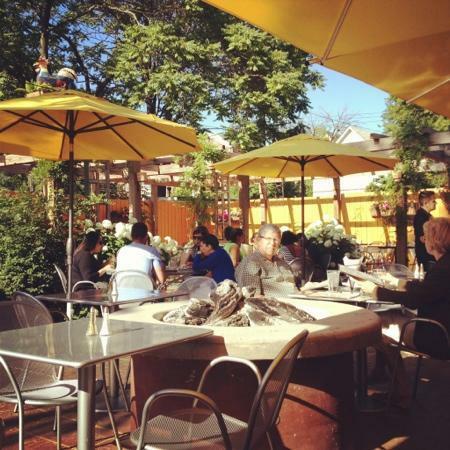 Check out the Guide to Al Fresco Season the Chicago Eater put together a couple of weeks ago for even more great places to try. 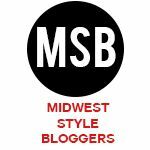 What are some of you favorite outdoor spots?